Which Crossfire Burner Do I Need? 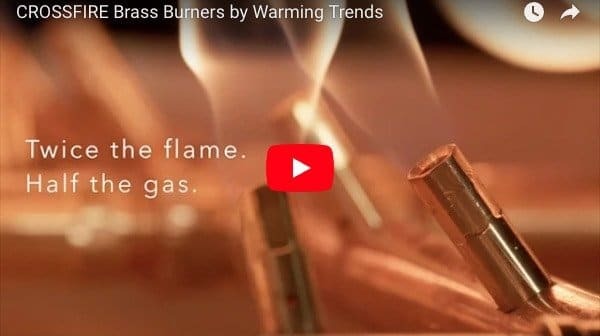 Warming Trends makes a number of Crossfire Burners but which one is the right one for you? With so many to choose from, there are a few things you need to take into consideration. #1 – How big is your outdoor fire pit space? Depending on how big the space is surrounding your fire pit, you want to choose a burner that is going to put out enough heat for people to enjoy, but not so much heat that you burn peoples faces off. A small 60,000 BTU burner would be great for a 7-foot diameter space. Our largest burner, the 450,000 BTU crossfire burner would heat more like a 15-foot diameter space. 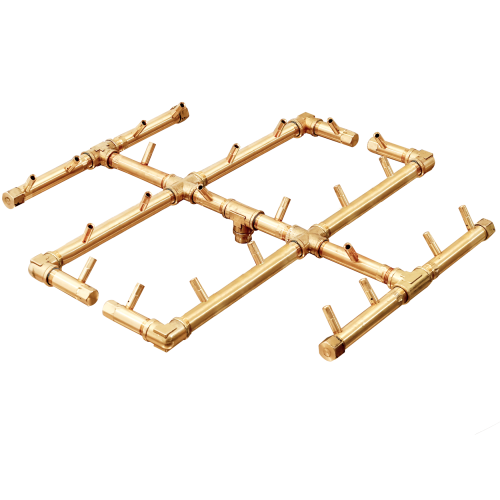 #2 – What shape of fire pit do you want? 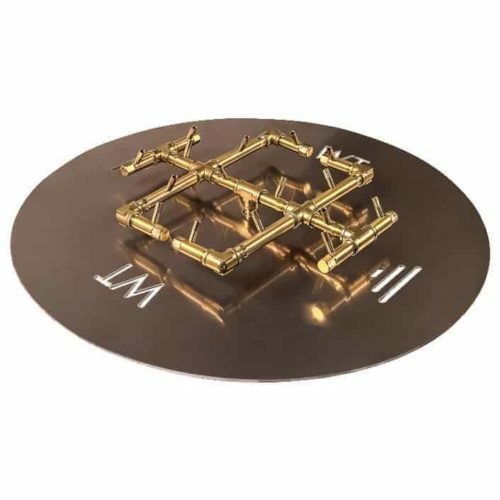 When you purchase Warming Trends Crossfire Burner from us, you have the option to choose from 3 different plate shapes; square, circle, & rectangle. 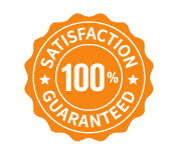 Depending on the burner you purchase, some might only come in one shape but overall, the sape of the plate is going to determine the shape of your fire pit. 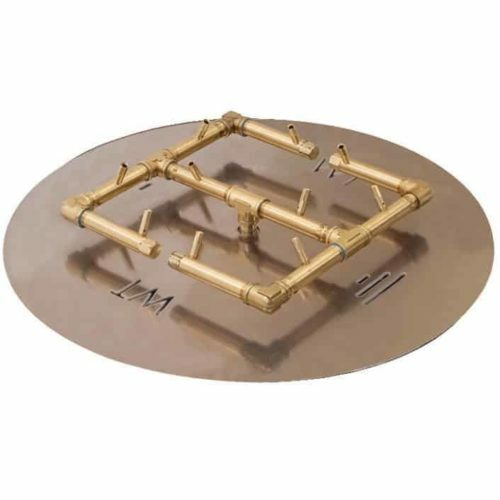 If you purchase a circular plate, you are going to want to build a circular fire pit to fit the plate in. Once you know the shape of your fire pit, you need to determine how big it’s going to be. #3 – What size is your actual fire pit going to be? When it comes to custom fire pits, choosing how big you want to make it is one of the best parts. You can shoot for a quaint little fire pit nook on your deck or go all out and build an elaborate linear fire pit system around your entire back yard. The options really are endless here. Based on the space you are working with, you should be able to determine a good size for the actual fire pit itself. Once you know those dimensions, you can figure out how big your plate needs to be. Then you can find a burner in that plate size and you are almost ready to go. Now you just need to decide if you want your new fire pit to run on NG or LP. #4 – Do you want NG or LP? 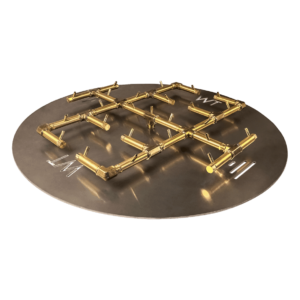 All of our Crossfire Burners have to option to run on NG (Natural Gas) or LP (Liquid Propane). There are a few slight differences between the two but often it’s a matter of personal preference which one you choose. But once you have made your selection, you should have all the information needed to purchase your Warming Trends Crossfire Burner and set up your new outdoor fire pit! Still have questions? Just shoot me an email today!